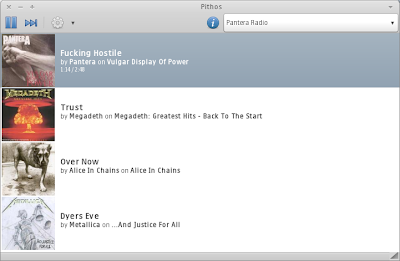 Back in Februrary we were telling you about Pithos, a pandora.com Linux client which supports switching between stations, cover art, proxy and more. 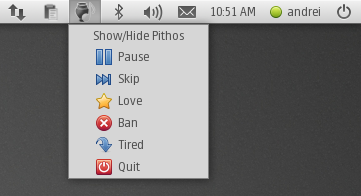 Pithos wasn't updated in a while but today a new Pithos (0.2.0) version has been uploaded to the Pithos PPA. Pithos 0.2.0 doesn't come with huge changes, just a lot of bug fixes (such as fixing fetching the cover art when behind a proxy), some tweaks to the user interface, bigger cover art and more. Thanks to Kevin McDole for the tip!